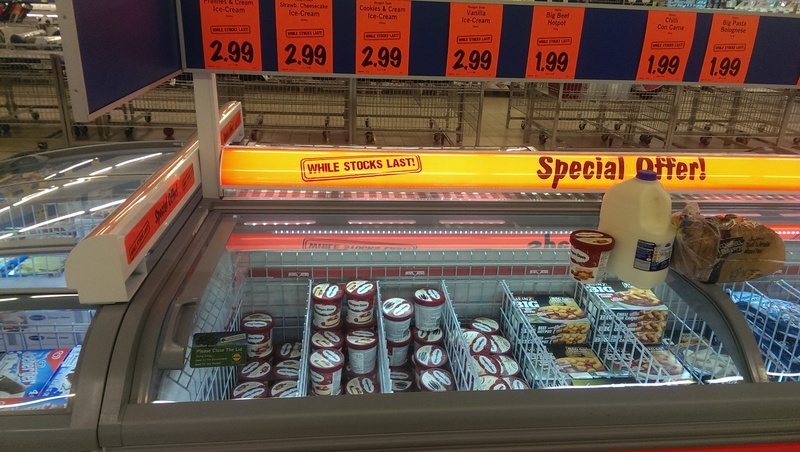 Ice Cream on Sale you say? 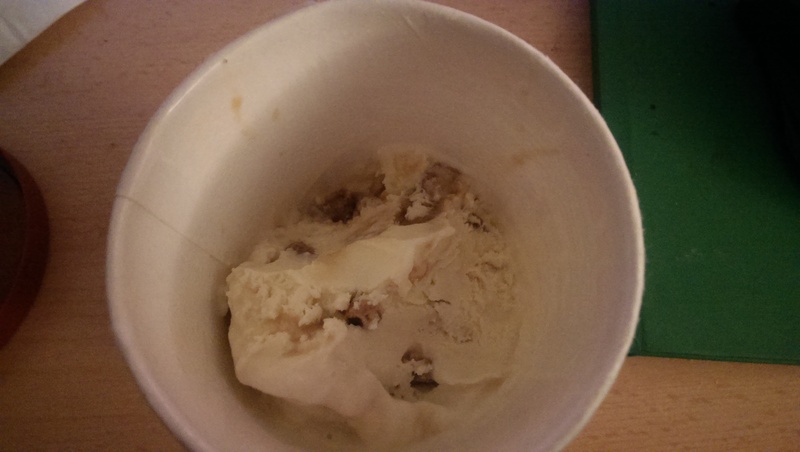 What is better then Ice cream? 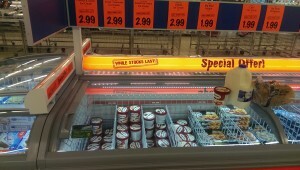 Why Icecream on sale? 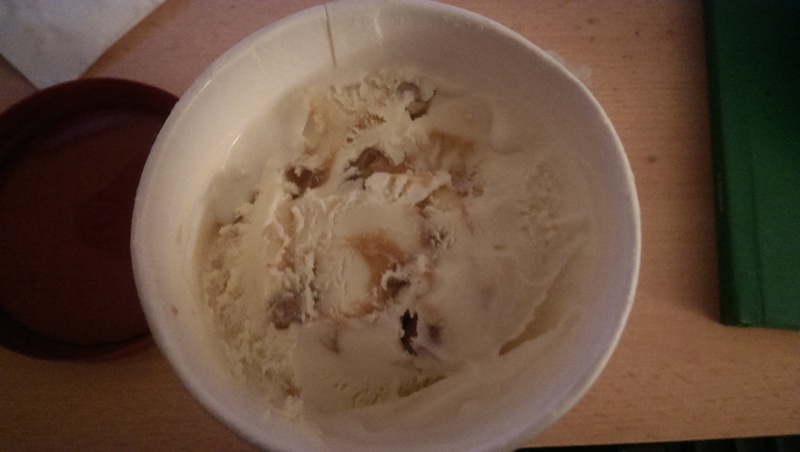 I usually prefer mostly savory flavors but I do like a good salty caramel and this just hits the best spots for me. Creamy vanilla, thick salty caramel and caramel coated pecan nuts for crunch, texture, and protein. It is pretty pricey as it’s usually close to €6 a tub, but when it’s on sale why not. 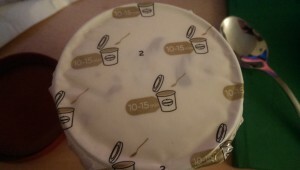 I always find it amusing that the plastic lid suggests leaving it to stand for 10- 15 mins, I mean really who does that? 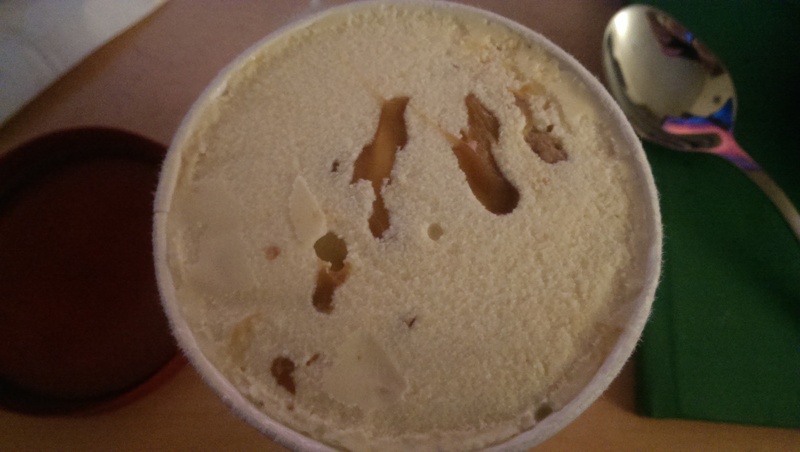 It’s not like the ice cream is not malleable enough and the caramel doesn’t freeze sold, also who has the patience. I can eat my ice cream any way I want to with no wait times. 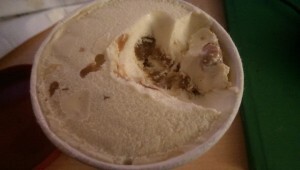 See plenty of space to get a spoon in right away, and follow the caramel to the pecans. The ratio of vanilla to caramel and placement of the pecans is always good. 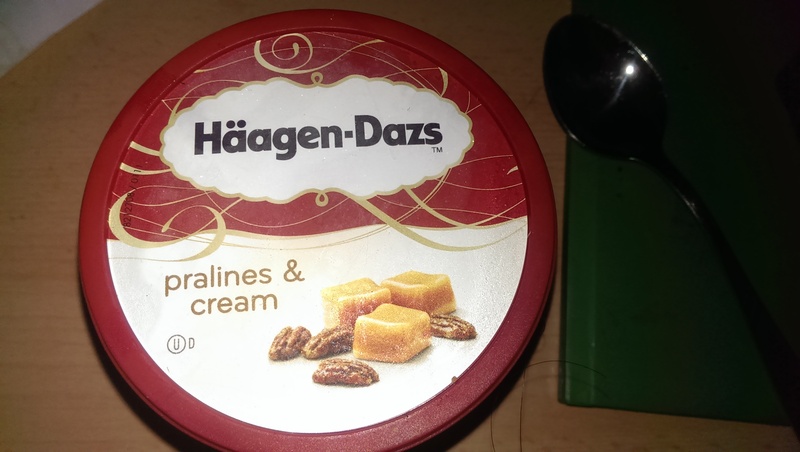 Too good for ideally one should not eat an entire tub, by oneself but there are somethings I am just not good at sharing. Nuts and caramel, all the way down to the end, no skimping. 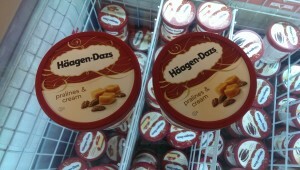 Damn posting this has my mouth watering all over again, just as well I got two tubs. Häagen–Dazs on sale currently in Lidl get it while it’s there and to stop me from buying all of the Pralines & Cream.